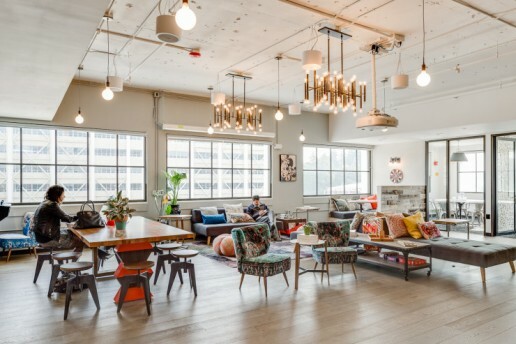 Co-Working giant, WeWork’s first Paris location in La Fayette plays homage to the bohemian lifestyle that emerged in France during the 1920s. 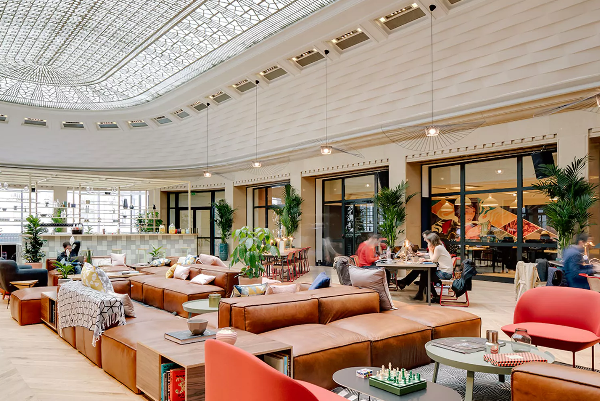 La Fayette, located in the 9th arrondissement of Paris, opens to a grand atrium with 22-foot ceilings serving as the central meeting point for members and guests. 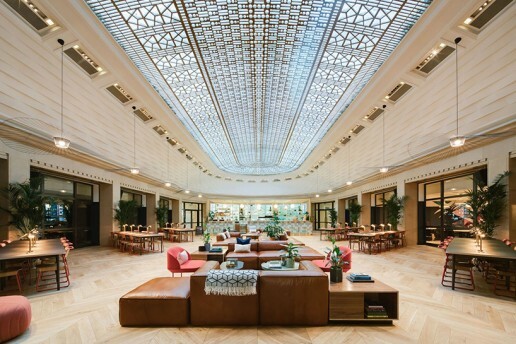 With a combination of old and new, the space is modernized with brushed brass and walnut wood finished and the roof boasts the original glass blocks, while the grand staircase, flooring and walls are all original marble and granite. 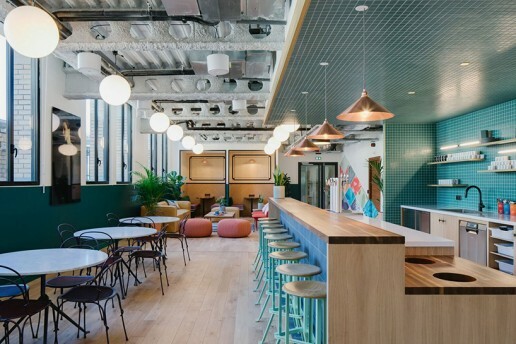 WeWork has a total of 150 locations in 15 different locations but the one in La Fayette truly stands out from the rest.